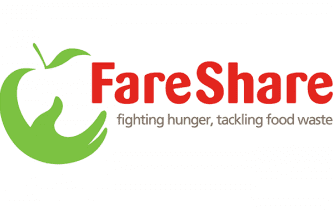 FareShare commissioned NEF Consulting to establish a monetary value for the socio-economic impact of the redistribution of surplus food to frontline charities and community groups. These include homeless hostels, breakfast clubs, lunch clubs, day centres, community cafés and more. FareShare was interested in understanding the full impact of its food provision and in capturing potential cost savings to the State. This required the development of an innovative approach, derived from the Social Return on Investment (SROI) methodology. The food redistributed comes from the food industry and would otherwise go to waste. The organisations that receive food from FareShare fall into two categories, referred to as Community Food Members (CFMs) and Community Food Associates (CFAs). NEF Consulting estimates that, by collecting food that would otherwise go to waste and distributing it to its Community Food Members, FareShare creates approximately £50.9 million of social-economic impact. This is made up of an estimated £6.9 million in social and economic value to the beneficiaries themselves and £44 million in savings to the State. FareShare provides food to over 2,974 CFMs. FareShare also provides services to over 6,679 additional CFAs, though these have not been included in our headline estimate of social-economic impact. The CFMs alone provide services to over 318,000 beneficiaries. Families and/or people on low or no income. School children and their parents. People with drug and/or alcohol addiction. People who are homeless and/or rough sleepers. The people in these groups experience different kinds of outcomes from engaging with the CFMs, and from receiving the food FareShare provides. However, a significant proportion of the savings to the State are derived through the large group of charities that focus on homeless people and rough sleepers. The research is not a full Social Return on Investment (SROI) study, but it is based on SROI principles. The methodology and the process began with the identification of stakeholders and the development of a sampling framework. We then developed the interview approach to uncover qualitative examples of FareShare’s social impact on CFMs. This was followed by detailed desk-based research and a process to categorise outcomes, before developing the detailed social and economic value model. Fareshare were able to promote a monetary value for the socio-economic impact of their work widely. Download NEF Consulting’s report here. Download the Fareshare report, promoting this work, here. For more information about Fareshare visit their website.